Waiting: it's not fun, is it? We know how that feels. After all, Google just announced a whole bunch of – quite frankly – pretty cool new Android P features, but we'll have to wait several more months until we actually get them on our phones. Still, there's a way to give Android P a try right now, as long as you have an adventurous spirit and... a compatible phone. Google just made the Android P Beta publicly available for developers and nerdy individuals such as ourselves. And the software isn't just at the disposal of Pixel phone owners. 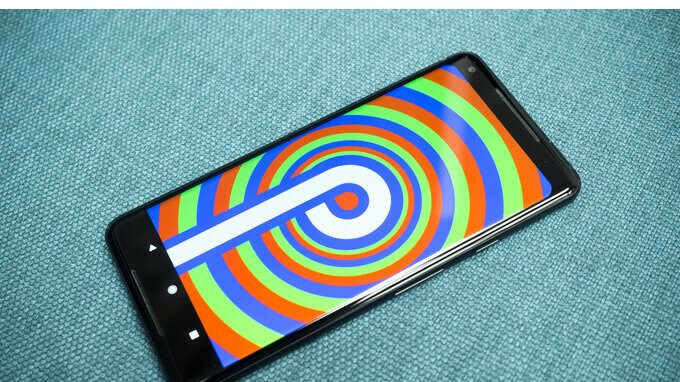 The Android P Beta can be installed on several non-Google phones as well, including the Sony Xperia XZ2, the Nokia 7 Plus, and the Essential Phone. In the paragraphs below, we'll walk you through the process of installing the Android P Beta on an eligible device, though we have to make an important disclaimer first. As Google itself clarifies, the Android P Beta available today is for preview and development purposes only. It is not recommended to install on your daily phone as it is still buggy and unreliable. Proceed only if you're okay with that – and do so at your own risk. Don't hold us – or anyone else – accountable if installing the software wreaks havoc on your phone. Step 1: Go to https://www.google.com/android/beta. You may need to sign in to your Google account before you see a list of eligible devices. In our case, that's a Google Pixel 2 XL, but the steps should be identical for any eligible phone. Step 2: Scroll down and find your eligible device. You should see a picture of it with a pretty blue "Opt In" button underneath. Tap the button. Step 3: Read and agree to all the terms and conditions. It says that all your data will be erased, which wasn't the case for us, but it won't hurt to back up all your important data anyway. Step 4: At this point, you should receive a message confirming your enrollment in the Android P Beta program. If a software update notification does not appear shortly, go to Settings > System > System Update and check for updates manually. Step 5: We got an update notification almost immediately. Confirm the download, then sit back and relax while 1.2GB of data are downloaded to your device. You will have to restart your phone to complete the update process. And that's it! Of course, this isn't the only way to install Android P Beta on the Google Pixel or any eligible device. You may download the files yourself from Google's Developer portal and flash them manually if you know what you're doing. Above, however, is the easiest, most painless way to give the Android P Beta a quick spin. To opt out of the Android P Beta program, go to the page linked in Step 1 above. Actually I have an Xperia XZ2 and there is a link from Android Beta website that redirects you to Sony Mobile website in this case. Of course there is a strong recommendation to do it only if you're a developer, because the beta update can wreak havoc to a consumer oriented device. Doing the same for my Essential. It seems you have to go through the manufacturer, Pixels just get this easy process because they Are the manufacturer. Already running P beta on my pixel 2xl and it's super smooth. No hiccups like I got with first O beta rollout. How's the battery life performance? My Pixel 2 was pretty good for a couple months, then it went to hell. If you tell me that the beta with it's improved energy saving settings is significant then I might actually install the beta. It is improved, also the new battery saver is not orange anymore it is good to use it. It's even snappier now on my pixel 2 XL.